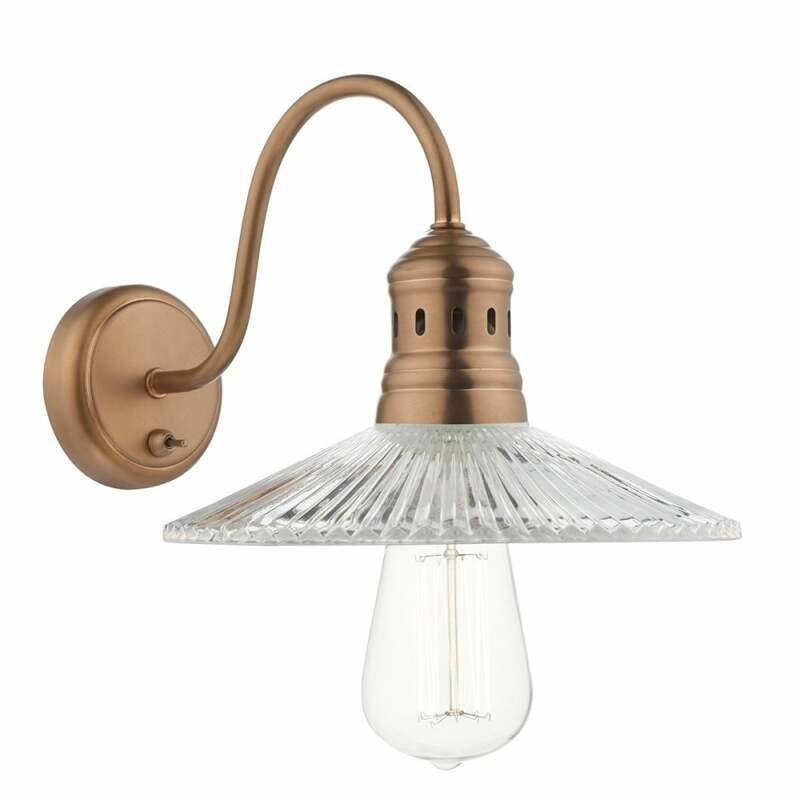 Dar Lighting Adeline single light wall fitting features a circular design wall plate with swan neck arm, in antique copper finish with a wide brim ribbed glass shade. The Adeline range looks like its come straight from a quaint French farmhouse kitchen, with its vintage style this charming design will sit perfectly in both modern or traditional decors alike. Teamed with a vintage filament lamp will complete the look. Double insulated and operated by a rocker switch. The product code is ADE0764. Also available in the Adeline collection is a matching single light pendant, which can be viewed on our website.